By Chris Gardner, President, Independent Contractors and Businesses Association. This piece first appeared in the Sunday Province on July 15, 2018, and is available for all media outlets to publish, free-of-charge. 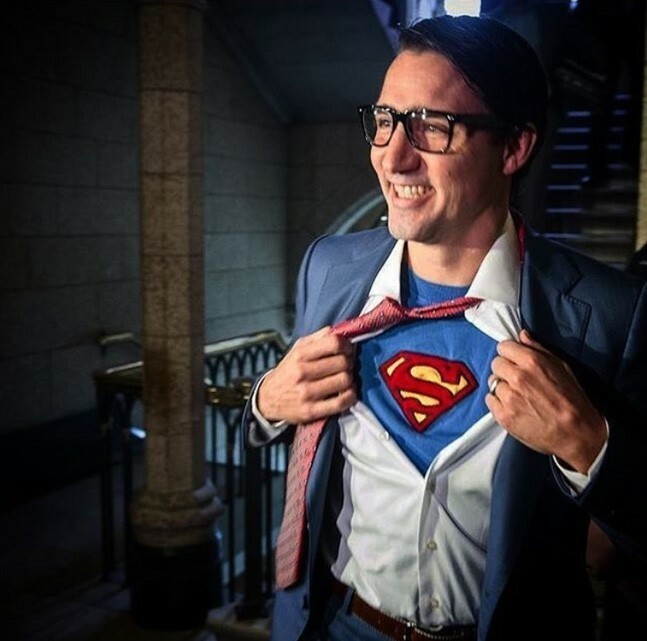 Last Halloween, Justin Trudeau launched a thousand photo ops by wearing a Superman costume into the House of Commons. Now it’s time for the Prime Minister to show Canadians what kind of Man of Steel he wants to be. Canada is in the early stages of a potential all-out trade war with the United States, brought about by the general anti-free trade leaning of the Trump administration and specifically by the new tariffs imposed by Washington on American imports of Canadian steel and aluminum. In response, Canada levied $16.2 billion in tariffs on U.S. goods entering Canada. The tariffs were strategically chosen to apply to items produced in targeted U.S. congressional districts so that American communities that depend on Canadian markets feel pain. By doing so, Canadian officials hope to apply enough pressure on congressional representatives that the Trump administration reconsiders their ill-advised tariff measures. So far so good. However, included with Canada’s retaliatory measures is a 25% duty on imported steel products, which will impact B.C., whose sole source of Canadian steel is a relatively small mill in Edmonton that supplies just one-tenth of what B.C. needs. Local demand for steel cannot be met by steel mills in central Canada – the reality we face in B.C. is that nearly all our steel comes from the U.S., Turkey and Asia. Since the North American Free Trade Agreement came into effect more than 25 years ago, the continent’s economy has evolved into a complex, intertwined series of supply chains that help reduce costs by increasing efficiencies and by building mutual competitive advantages. The benefits have been substantial, mutual, and in the best interests of both countries. Yet this mutually beneficial trade relationship seems to be on the cusp of completely unravelling. Caught up in the mess are the close to 250,000 British Columbians who work in construction. Recently, a coalition of steel companies urged Ottawa not to retaliate against the U.S. with reciprocal tariffs on steel, given the broad ranging consequences this will have for construction. This advice went unheeded, and with tariffs now in place, the cost of steel on both sides of the border is rising, making building materials more expensive. To make matters worse, there are rumours out of Ottawa that to help prop up eastern Canadian steel mills, Canada may impose another round of tariffs on steel coming to the west coast from Asia and Turkey. Ottawa imposed tariffs on steel from overseas markets in 2012 in an effort to protect steel mills in eastern Canada, but the only thing these tariffs accomplished was to push up the cost of steel used on construction projects in B.C. Now Ottawa wants to compound their mistake with even more tariffs. Why don’t companies in B.C. simply purchase steel from eastern Canada? The simple answer: it costs four times more to ship steel from Ontario than it does from markets overseas. Think of the ramifications of sky-high steel prices on major infrastructure projects here in B.C. TransLink’s Arbutus subway, Pattullo Bridge and Surrey light rail will require massive amounts of steel. So does the Site C dam, the North Shore sewage treatment plant, the Trans Mountain pipeline, and (hopefully) LNG Canada and Woodfibre LNG. Then there are high-rise condos, hospitals, and schools. Steel is the backbone of all of these projects – and as the cost of steel increases, we all pay. Further, as steel becomes more expensive, we risk a slowdown in construction activity. Workers could be laid off, and governments will face shortfalls in revenue to pay for critical health and social programs. So, again, we all lose. Given the high stakes for the construction industry, taxpayers and consumers, it is critically important that the Government of Canada redouble efforts to resolve the impasse with the U.S.
No one wants to see Canada stand idly by as the U.S. implements measures that will do great harm to our economy, but any response has to be in the best interests of Canada as a whole and not merely one industry in one part of the country. As is so often the case, B.C. is caught in middle of this fight and we stand to lose in a significant way as Ottawa looks to impose a tariff regime made in eastern Canada for the benefit of eastern Canada. It’s time for Prime Minister Trudeau show he not only wears the Man of Steel’s costume, but he has a steel backbone to stand up for all of Canada. Silent majority supports responsible development in B.C.